There is a lot of money and research put into skin care each year. Everyone wants the fountain of youth product that improves appearance to look years younger. Some of these products are quite effective, but they may cost a fortune. Our grandmothers may have the most effective and wallet friendly skin care secrets around. The way we apply our moisturizer and make-up, the temperature of the water we use when washing, and even what we ingest can have a positive or negative effect on our skin. The key to many of these skin care secrets is starting early and being consistent. Starting early is a major player when it comes to make-up application. When applying make-up or moisturizer, start from the bottom and work your way up. The neck needs to be moisturized, as wrinkles in the neck area can be very visible. Use upward and inward motions when applying moisturizer and make-up. This reduces stretching and helps prevent new wrinkles from forming. When applying under eye make-up, the same principles apply, but it can also be useful to use your ring finger. This is the weakest finger, and is therefore less likely to damage the delicate skin under the eye. Eternally youthful looks can be like searching for the Holy Grail. 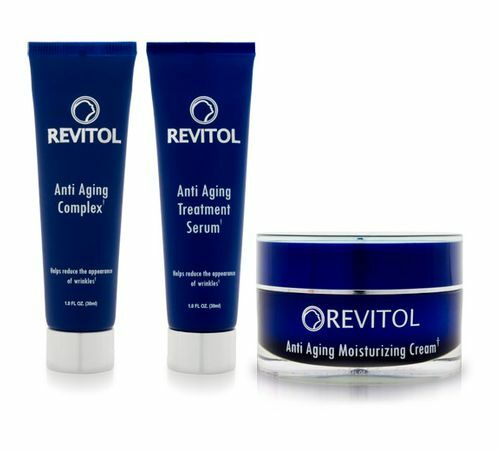 Every manufacturer claims they have the best anti aging creams on the market. It is a multi-billion dollar cosmetic industry, but the fact of the matter is that many of these skin products simply do not work. Why not? Well, in order to understand why the products don’t work, you first need to consider the function of the skin and how wrinkles develop. After you understand these important factors, it will be very clear to see why many creams on the market today have only short-term benefits. Skin has so many functions. It is the largest organ in the body and is comprised of three layers. The best anti aging creams don’t target the layer of skin we see, which is known as the epidermis, but they actually work to reach the under-layers of skin where wrinkles begin. One of the most important functions of the skin is to aid the immune system by keeping bacteria and germs out. The epidermis forms an impenetrable barrier for these immune system foes, making it impossible to endure infection simply by a touch of in-tact skin. Wrinkles don’t develop on the surface of the skin, they begin to form below the visible layers until they surface. That being said, topical creams cannot penetrate the barrier of the epidermis to fight wrinkles at their building site. The skin on the face is the most exposed to the elements. It is also the skin that people notice first when they look at us. This is why millions of dollars are spend every year on facial skin care. Society is obsessed with looking better and looking younger. Finding the right products for your skin and eating right are both ways to keep the skin on your face looking its best. There are some daily tips and tricks however, that if practiced consistently will go even further in keeping you facial skin healthy and young looking. One of the most basic elements of facial skin care is cleansing. Washing your face every morning and every night is a must. Find a cleanser that is perfect for your skin type. It is more beneficial to the skin to rinse by splashing water on your face rather than using a washcloth to rinse. To tighten pores and give a nice glow, rinse with cool water rather than warm. Wash with your hands using circular motions to increase circulation. If you need to exfoliate, use a washcloth rather than your hands, but avoid doing this too often as it can be too harsh on a daily basis. Anti Wrinkle Creams – Should You Use Anti Wrinkle Creams? If you Google the search term anti wrinkle creams, you get over 3 million search results. That’s a lot of information about cream! New products pop up nearly daily that claim to reduce the visibility of fine lines and wrinkles. Popular, household brand names like Neutrogena, Clinique and Avon all own their own line of wrinkle creams. 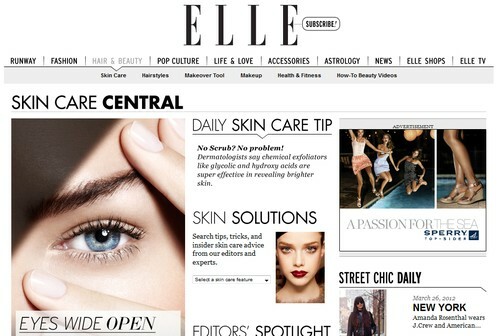 You can even get more expensive products like Life Cell, which is a cream recommended by cosmetic surgeons. So what do you buy what they’re all selling? It can be difficult to choose a product that’s right for you with all the anti wrinkle creams available today. Let’s take a look at some of the most popular choices. Life Cell is at the high end of the spectrum as far as price goes, but users would agree it the most effective non-surgical treatment out there for fighting wrinkles. Its results can be as good as Botox treatments. And it’s clinically proven! The website boasts believable before and after photos from real users. The company believes in their product so much, they’ll let you try it for 30 days for free! They say it works in as little as 30 second and its advanced technology in fighting wrinkles is hailed by its users. It’s a product worth investing in if you’re in it to win this fight! It’s no secret that the world of cosmetics caters to the women of the world. But men get wrinkles, too, and they don’t like them either. What can they do when they decide to wage the war against signs of aging? We offer you the best in men’s anti wrinkle creams. Although most wrinkle creams on the market today can be considered unisex and equally effective on men and women, there are products out there specifically formulated for a man’s skin. Although men’s anti wrinkle creams are not as numerous as those thought to be sold for women, there are several products out there worth trying at a variety of prices. For as little as $9 men can purchase Nivea for Men Face Care Revitalizing Lotion Q10. This product contains the coenzyme Q10. This coenzyme in relation to skin health, helps in the production of collagen, elastin and other skin molecules. As men age, the production level of Q10 can decrease. Using lotion packed with this enzyme can help a man get his skin looking younger and fresher. It also contains vitamin E and has an SPF of 15. We’ve all heard the claims. Anti aging skin care products can make your skin as youthful as it was in your 20s. You can reverse the signs of aging by using products that visibly reduce age spots, fine lines and deep wrinkles. But do these products, which have become a multi-billion dollar skin care industry, by the way, really work? Sometimes yes and sometimes no. Let’s explore products that should be used as a part of everyone’s skin care regime. 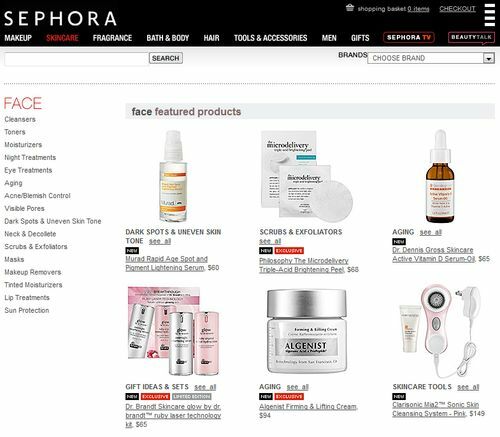 There are plenty of products out there to choose from when considering anti aging skin care products. Many of them are sold at your local pharmacy and can be quite affordable. Others can make you dig a little deeper in your pocket but give you results similar to Botox. Alternatively, you can look in your own kitchen cabinets and find chemical-free, all-natural products that can leave your skin looking young, healthy and radiant. Making sense of it all is the most difficult part. Keep in mind that many of the products available today may provide you with some pretty quick results, but these results are short-lived. If you understand that from the get-go, you won’t be disappointed when a product suddenly stops working for you. Everyone knows that beauty is more than skin deep, but many long for an eternally youthful appearance. 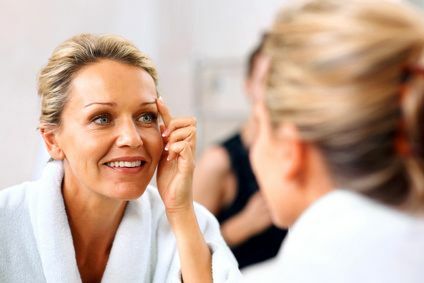 The following anti aging tips can help you fight the dreaded crow’s feet and sun spots, and help you feel youthful on the inside and out well past your prime. Eat a healthy diet. One of the most beneficial things you can do to help keep you looking young on the outside and feeling young on the inside is to follow a balanced diet regime that is low in saturated fats and includes plenty of antioxidants. Saturated fats can slow your body down and cause plaque to build up in your arteries, leading to heart disease. A diet rich in fresh fruits and vegetables packs an anti-oxidant punch that helps skin to look young. Walk. Walking is arguably the best form of exercise. It benefits the body in so many ways without the stress on your knees and joints that running can add. This anti aging tip is good for your heart, helps to build muscle mass, works to keep you lean and delivers blood to the surface of the skin – an important factor in fighting fine lines and wrinkles. Don’t smoke. If you are a smoker, quit. If you’re not a smoker, don’t start. This is the soundest anti aging tip to follow as smoking is a major contributor to speeding up the aging process. Smoke breaks down collagen in the skin. Collagen is responsible for keeping skin looking firm and strong. Smoking can cause skin to wrinkle faster, and give is a grayish and dull appearance.